Chestnut Crab, Cortland, Fireside, First Kiss, Frostbite, Haralred, Haralson, Honeycrisp, Macintosh, Pazazz, Riverbelle, SweeTango, Sweet Sixteen, Wealthy, & Zestar. We sell all of our apples by the pound. They are bagged in 6 and 12 pound bags for your convenience. 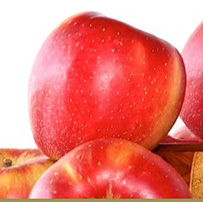 One medium apple has about 80 calories and is free if fat, cholesterol and sodium. Good source of some vitamins, minerals and other important nutrients. 4-6 weeks White flesh, eating or cooking – has done well at Gilby’s.Won’t turn brown! Ruby red apples with snowy center. Also perfect for pies and cider. 5 months Very crisp, sweet with a tart finish, and very juicy, excellent storage, good results in 3b. 7 months Sweet, well balanced, crisp, excellent flavor. 4-6 weeks Sprightly flavor, good for making apple sauce. 7 months This apple is like a good red wine… it get better with time. Very late season ripening in mid October. This is an apple managed by Honeybear brand. 3 months Hard, crisp, sweet and very juicy with excellent flavor. 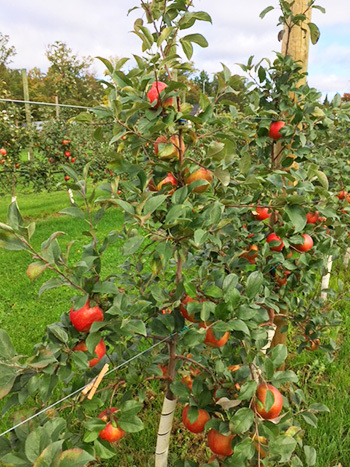 Managed variety that has become very popular as early season apple. 8-10 weeks This apple has moved into first place at Gilby’s, more sales than Honeycrisp. Sweet, crisp, juicy excellent flavor. 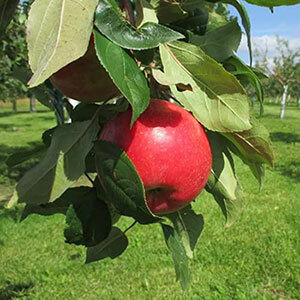 Managed variety apple, great results in zone 3b at Gilby’s. 3-4 months This apple has a crisp juicy texture,. excellent sweet unusual flavor like cherry candy, great for fresh eating. 4 weeks Grandma’s best kept secret for apple pies. Early season tart apple. 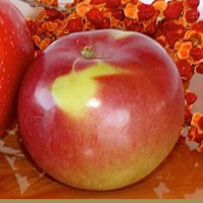 4-8 weeks Crisp and juicy, excellent sweet tart flavor also very good for pies and sauces. Good results in zone 3b at Gilby’s.